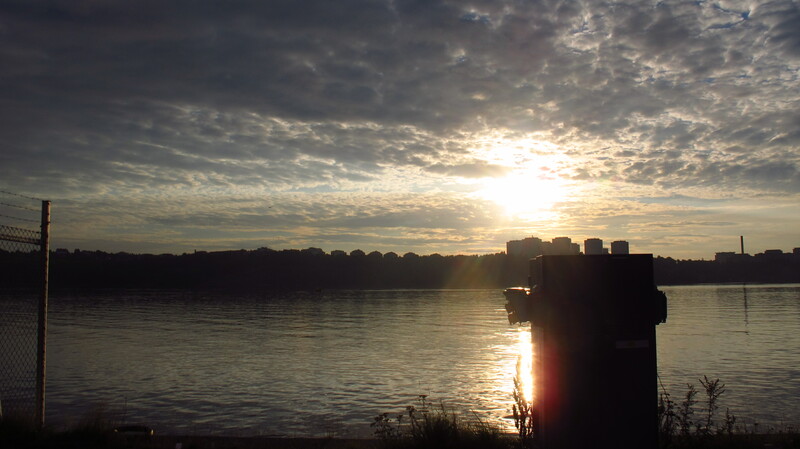 I had barely slept 4 hours by the time the alarm clock rang at 5 am, but I had 11 hours of ferry crossing ahead of me, so I thought that aside from catching up on the blog, I would also catch up on some sleep. I finished packing the few things I had not packed the night before as quietly as I could to try not to wake anybody up and as I was gathering my things, I found a very nice goodbye note from Andrew. There was nobody awake in the hostel, so I had a cup of coffee on my own in the kitchen and then rode the bike on deserted streets to the ferry terminal, ready to board the Baltic Princess just past 6 am. The sun was already up and there were no clouds in the sky, the perfect day to spend on the deck of a ship. 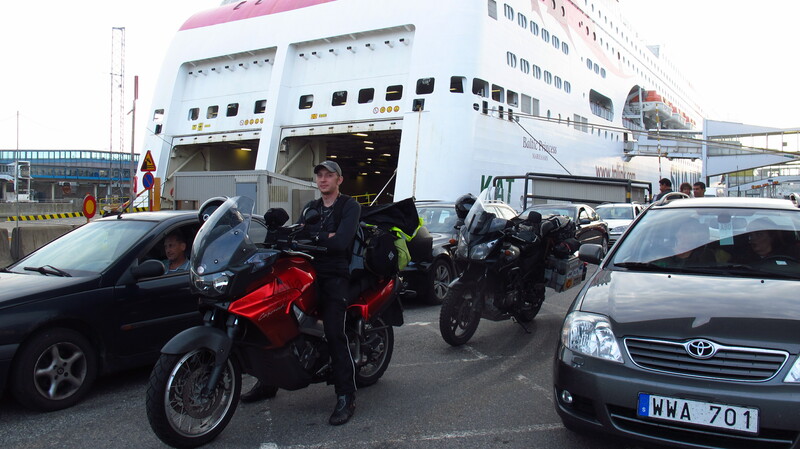 The good thing about being on a motorbike is that they board you first, so I had barely got to the queue when I was told to skip to the front next to a Russian biker, and we were among the first vehicles on board. I left the motorbike a bit worried about it falling over if the sea was rough and went up to find a good place to seat. To my dismay, there was no sitting area, and as I had booked no cabin, it meant that I was not going to get any sleep. The only place where I could seat was the top deck, but fortunately the weather was very good, so it was not a problem. 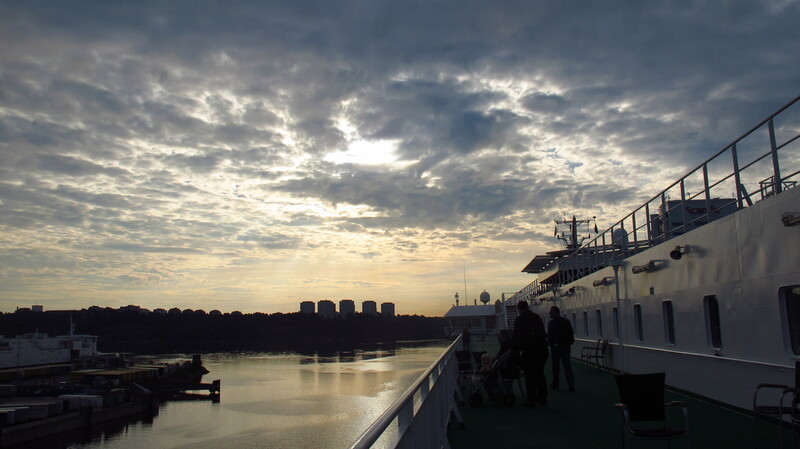 At 7:10, right on time, the ship started to move and we started the 11-hour crossing. One hour into it I was already tremendously bored, and wondered what on Earth people found so great about going on a cruise. Writing for the blog and reading my book killed a few hours, but in the end what really saved me was discovering that there was WiFi connection, a very poor one, but enough to connect to Whatsapp and be able to catch up my loved ones. Spending the day on the road or socializing with people in hostel or hosts from CouchSurf does not leave much time left to chat with people online. 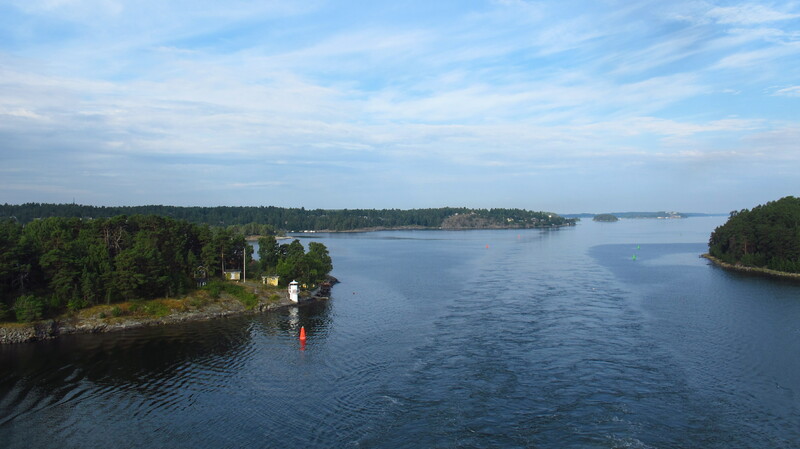 By noon, the ferry called at Aland, a big island between Sweden and Finland, and from the top deck I heard the rumbling sound of Harleys. I got up to see what was waiting to board and saw a big group of bikes on the harbor. It was the Turku MC, who had spent the weekend in Aland and were heading back home. The rest of the day went by faster than I expected, and by the time the ship was approaching Helsinki, I was surprised to have had such a nice time on board. The sea had been very calm, so I did not get any motion sickness, despite the fact that I spent a lot of time staring at the computer screen, and we had not spent that much time in the open sea anyways, about two thirds of the trip had been among small islands on the coasts of Sweden, Aland and Finland. 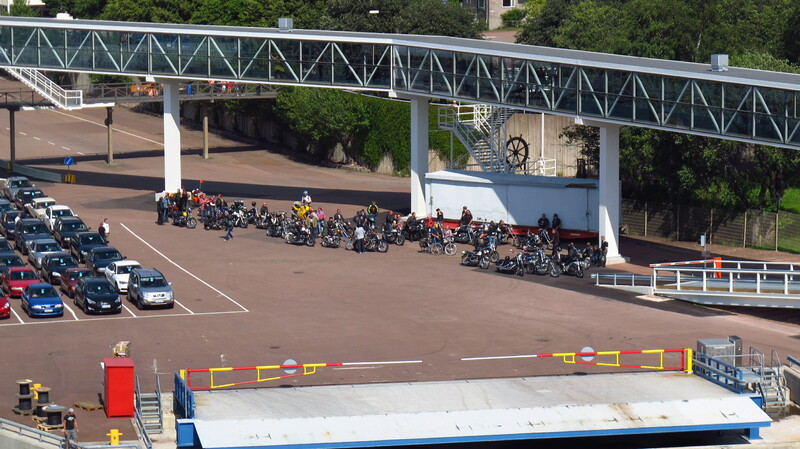 Half an hour before docking all drivers were called down to the car deck, and when the doors started to open, about 40 Harleys started their engines at the same time. The resulting thunder reverberated in the cavernous car deck, setting off the alarms of every single car sitting there, it was madness. I got to the hostel in only ten minutes, and since it was already late and Turku was a small residential city, with not much to see, had a shower and just went to bed, happy to think that the following afternoon I would be picking up my girlfriend from Helsinki airport. This entry was posted in Stroming The World 2013, Travel and tagged Baltic Princess, ferry, Harley, Stockholm, Turku by Kilian. Bookmark the permalink.